I walk around,looking at all the stuff there is to buy"lot of stuff yeah..."
"Deidara, what are you doing here?" 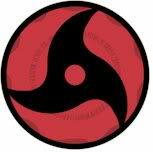 asked Itachi in a emotionless voice as he came out of the shadows, three tomoed Sharingan blazing. Itachi looked around & saw a group of cloaked people heading their way. "Deidara, we have company" said Itachi, indicating to the group of people. "Look at this boys. We have a little company" said a female voice from what appeared to be the leader as they took out sticks. "You cannot defeat us nor kill us" said Itachi. "Oh? How is that little boy?" asked the woman. "Because you lack the hatred, you lack the fear, you lack the power" he said very coldly. The cloaked people started getting very nervous at the coldness in his tone. "If you want to defeat us, run from us, fear us, hate us. Cling to your wretched lives knowing that by using your hate & fear can you hope to defeat us" he said very coldly, watching as the people fidgeted. I pull out my clay"Ah,ready"
"Now Deidara" said Itachi as he made clones to hold the people in place. The people tried to get away but couldn't. The result was they were blown to pieces as blood & body parts went everywhere. "Messy" was all Itachi said. "Well, let's go to Diagon Alley. You need to pick up your supplies for our mystery job Lord Pein gave us" he said as he handed Deidara a sack of money & a supply list. "Me & Konan are already there. Meet us at Madam Malkin's Clothes Shop" said Itachi as he disappeared in a puff of smoke, indicating it was a clone.